I haven’t put a lot of effort in blogging here recently so I thought I’d kick off with a January post and get back in the groove. I was invited by Francisco to come back to ITESM in Mexico City after leading a 3 day teacher training workshop last December. This time around I’m here to help students at the end of a wearable project and interacting with 18-24 year old industrial, engineering and mechatronic students in 2018 got me thinking about design schools I’ve visited in the last 10 years. One of the reasons I don’t do much teaching is partially that I find the environment offered to students frustrating. When given the right conditions any student is able to do something worthy of attention. I seldom see the right conditions so I thought I’d put down what I think are challenges to coming up with good ideas and what I think a design school of the future should be. Most design schools are too big. When I studied my BA we were 74 students. I think less than 20 ended up in design careers, many retrained. Why did they take so many students? Probably because they had invested in an amazing library, worked with a famous architect to get a brand new building, had lots of staff. So it’s all about volume. More students need to be pushed through the doors regardless of work opportunities on the marketplace because really a design school is a business with bills to pay. I was lucky to be part of the last generation of design students to have my own dedicated studio space at the Université de Montréal. Every single design school I have visited since doesn’t have this. The pencil-pushers in admin in design schools read all about open spaces and co working and started making money hiring out the building for external event. A design school becomes a real estate investment and the students become ‘customers’ of that space. Any superficial look at Bauhaus and other leading design schools shows dedicated work space that students can own, can customise, can settle in and live in. The quality of the work with change when you’re a hot desking office worker. Most design studios have dedicated spaces to work in, that they own, why on earth wouldn’t a design school enable that reality? Or perhaps they are training students to work at places like Google, but Google doesn’t hire a lot of design students. Every year I might get invited to 1 or two degree shows. How on earth I got on their list is anyone’s guess but I’m really not interested in seeing the final work of a student, I’m interested in who they are and their process which a final show will never expose. External people don’t get exposed to student work often enough because design schools don’t know how to structure their engagements with industry. Ravensbourne College is the only one I know where the Head of Partnerships Claire Selby is public both in industry and inside her own building. This is quite rare. I’d love to see design schools approach small studios, freelancers, alumni to invite them to dinners with students or away days, anything to create a bond, a relationship, an ongoing conversation. Getting a professional to give a lecture is almost the worst way to engage with a class of students, as they are just being lectured to, will often disconnect and don’t really understand how important it is to engage with the lecturer because they’re used to having their lecturers near them all the time. To a design student, a lecture is just another bunch of links to Google at some point. Nobody knows how to draw. I’m a little shocked every time I go to visit a design program and I can’t see drawings on the walls but I see post-its. How did we get to a point where students aren’t able to think visually. Most people understand the world through images, diagrams, visuals and the ability for a student to get up and explain a complex set of issues with a few well chosen drawings is extremely powerful. Ask Bill Verplank who basically with one sketch created a whole industry. Powerpoint and Illustrator have taken that entirely away from the average design student. They now need to spend all night selecting images and drawing in an abstract environment to make their point. But pitching in a brainstorm session or a meeting with a client requires more reactivity, it requires the deep desire to draw what you mean. We’ve taken that away and given it only to architects. What a shame. Taking the model of IDII where I studied but also Kaos Pilot and the Shumacher College I think there’s a great argument for small design programs. Less than 20 students. 20 people can create great bonds, and providing infrastructure for 20 people isn’t much: a studio room, a lecture room, a gallery with public access, somewhere to eat and workshop spaces. Somewhere to eat and workshop spaces don’t have to exist in the school as everyone and their uncle now owns a laser cutter, a 3D printer and Arduinos. So it’s down to a room, a lecture room. Could you run a design program this way? I think so. It doesn’t have to be in the middle of nowhere, it can be in the heart of the city, but the scale of students matters to the quality of work. When you’re 20 people in a room you can’t drift off as easily, and competition builds up for people to do good work. It also means you can’t work on large team-based projects which are the death of collaborative work in industry. Teams of 2-3 are enough to get something really good done (as every startup ever has taught us). Why a gallery? To create opportunities for the local community to get involved with the students, for the students to get used to speaking to people in the ‘outside world’. Design education shouldn’t be a bubble. As examples, Central St Martins has a shop and London College of Communications has a sort of gallery space in Elephant and Castle shopping centre. Ideally the students are multi-disciplinary too so their interests and appetite are varied but they all want to develop solutions for the world. Those solutions could be a publication, a space, a product, a service, a business, this is all design. Why should we continue to teach design as if industrial silos still applied? The class should be taken out on cultural visits and industrial engagements all the time like the The Slow Food Institute. As professionals you’ll be very mobile especially if you have your own business so why not get students used to that life. I have so many more thoughts and I hope by publishing this someone out there will tell me: ah but you should see such and such a program. I hope there is something better than what I see which is a model which isn’t suited to industry or even modern living. Design students deserve better and deserve to be pushed to try harder too. We have to give them the conditions to be challenged in ways that will make industry life feel like a piece of cake rather than a cliff’s edge. I’ve been a bit quiet about the the Good Night Lamp but this year was major. I actually made and shipped lamps around the world. Here is a rather long breakdown of how I did it, how much it cost and what’s next. A bit of history I had the idea in 2005 as a student in Italy. I made some rather basic plastic lamp-shaped prototypes with a technician at the Interaction Design Institute Ivrea and presented it to Droog who had set us a design brief around single household living in the future. They took it under consideration for about 6 months, but after presenting to their team in Amsterdam (I was living there at the time) they said it didn’t fit their aesthetics. I think it just was too complicated for their whimsical collection. I also had no idea how to manufacture it at all. I had a prototype based on a hacked remote control toy car. I moved to London in 2007, ran a design studio and the first UK distributor of the Arduino with Massimo Banzi. We talked about it with Matt Biddulph a lot but not much was done. I still had the now empty plastic prototypes on my desk at the office. We closed Tinker on December 3rd 2010. 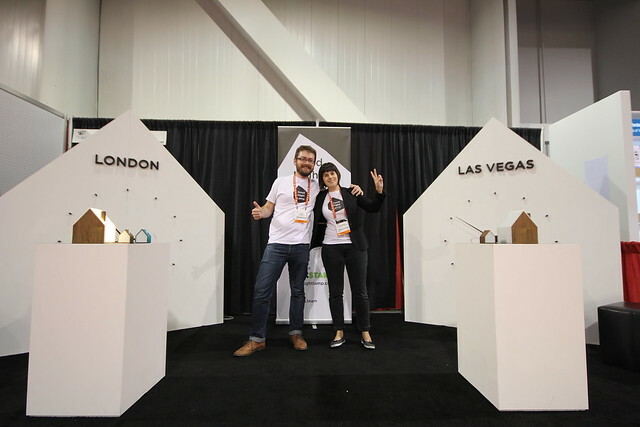 In March 2012 after I dusted myself off from closing Tinker, I registered Good Night Lamp Ltd at Companies House, trademarked the name in the UK and booked the second smallest booth you could get at CES 2013. At that time I roped in Adrian McEwen as CTO, John Nussey as Head of Products and Konstantinos Chalaris as Design Lead. We had a two day workshop in the summer of 2012 with Lawrence Archard, an electronics engineer. 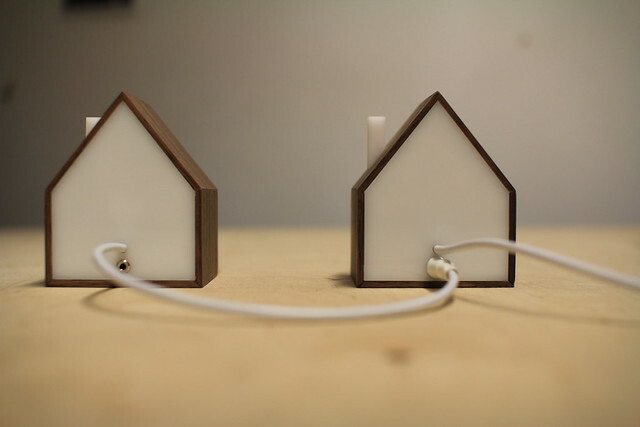 We came up with the idea of a house as a shape and chose to connect the lamps using wifi based on a very high level cost breakdown. Kostas designed the first shape and our distinctive roof angle and we wanted each Little Lamp to connect and share power with the others that might be near it. This would let people build a bit of a village. That summer I also asked around me for financial support and Usman and Blaine came to the rescue with a combined £20K. I used that money to pay for the prototypes to be made by Tom Cecil Studio for CES and get us there (that trip alone cost £14K). I started meeting investors in autumn 2012 and was offered in my first meeting £40K if I could find others to join in. They never materialised so I decided to run a Kickstarter campaign while at CES. We worked with PAN to come up with a video and photography for the campaign. We made a xbee-based prototype and with John, went to Vegas. I never realised the press picked up their releases and did their coverage on the Monday while we were still setting up so we missed the boat a tad but the event was a real eye opener. We had a lot of interest in the product but being one of two Kickstarter projects there people really wanted to see a final product. We had some good coverage, but the inability to deliver right there and then really affected people’s perception. ‘That’s interesting’ is something you get a lot when people can’t buy it right there and then. We failed our campaign and investor interest basically disappeared as a result. I stopped working with the guys as I couldn’t pay them anymore. I went back to square one and continued meeting investors for about 6-8 months and applying for funding and incubators. It was summer 2013 when I understood I was going to have to go it alone with no further financial support than what I could get from the consultancy work I do and the speaking engagements I have. I got an agent (thanks Ben) and started working with some great clients and just kept going. I also continued showcasing the Good Night Lamp in the UK at various tradeshows. 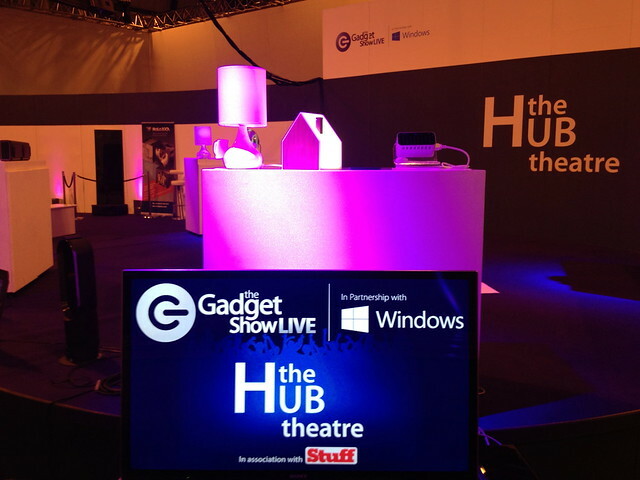 The most important one for me was the Gadget Show Live in Birmingham. Visited mostly by working class dads and their sons, their reaction to wifi was quite telling. ‘Oh nan doesn’t have wifi’. So I pretended a 3G version was coming up and got a lot more sign ups for our newsletter. This was the turning point in terms of technological direction towards a GSM version. In early 2013 I was working with the Eyehub project helping with dissemination, something I’d done with Lirec. I met Eseye at that point, an M2M company based in Guildford. The perfect match for the change I’d decided to make. I worked with Daniel for about 6 months in early 2014 and he helped with web design and the strategy for production. I went live with a humble little shop and a paypal link (soon replaced by Stripe) in September 2014. 200 lamps were pre-ordered by over 60 customers around the world in a few weeks. I closed the shop link and got to work. The first lamps were shipped to customers in April 2015 and more have sold and shipped for Christmas. I’m now preparing to make about 2K-3K to sell to the UK, Europe and the US and ride the 2016 Christmas wave properly next year. It’s taken some time to get all the ducks in a row and it’s still work in progress. I now have a CE certified product made in batches in the UK. The enclosure is made by Tom Cecil in London, the electronics and data supplied by Eseye in Guildford and the assembly and shipping will be handled by EPS in Woking. I’ve also been working with Burgopak on some packaging for each lamp before it goes into a box. I’m also working on a proper back end to help manage the lamps remotely with Andrew & Boris. A British product through and through (except for where the electronic components come from sadly) for the UK & EU markets. I’m working on getting a version of the product made in the US (Tennessee & Alabama) for the US market but that’s still in its infancy. It’s been tiring, stressful and expensive overall and I don’t think I’d do it in the same way if I had to start from scratch. But it’s also the best thing I’ve ever done. Here are some very technical pieces of advice for anyone wanting to get into the business of making a consumer connected product. There are only 3-4 categories of things you will be ordering (eclosures, electronics, packaging, mis parts, accessories, packaging) but each one of them has a high chance of being delivered late which means you can’t start to really assemble things for *weeks* sometimes. It’s super frustrating, but save yourself and just assume it’s always going to happen and have plenty of plan Bs. You’re not Apple, chances are you never will be, so you can’t squeeze your vendors aggressively. Just plan for at least 1 to two months of delays on everything you order. Even within the London-area which is where the lamps are made, the fact that the enclosures are made in E10 and the rest happening around Guildford means I’m spending a fortune on couriers moving things from one end of London to the other. Customer returns are being returned to me in Brixton so far thanks to a pretty neat Freepost return labels, but then I need to get them couriered to Woking again. Very expensive. So keep every process very close. No working from your bedroom won’t do if you’re making hundreds of something. So have a plan. Eseye are my first line of support for customer enquiries, this is normal because I don’t have great API access or a back end to connect to, but it makes the process of assessing what’s wrong with a customer really painful. 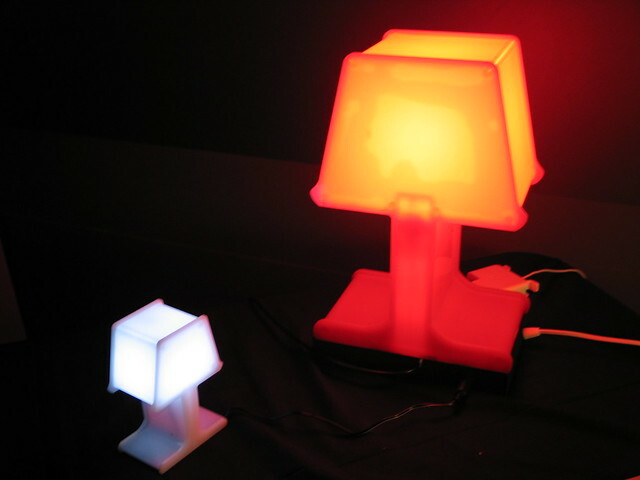 It’s not their fault, the Good Night Lamp is a unique product in the M2M space. Usually, you’re only taking a sensor reading locally and sending some data back, end of story. And the product isn’t a consumer one, so the user-generated problems don’t really exist. The Good Night Lamp is an ‘if this then that’ structure with units all over the world in real people’s hands. Super tricky to both assess what is going on and where the problem is for a customer. I’m using Zendesk but really don’t like it. Not sure what else to use, so still working that out. Anyway, have a plan. I’ve lost over £70 / lamp so far in unexpected courier costs, returns, delays, pricing, etc. That’s ok as I have other clients too so it helps, but it’s not a long-term strategy. I don’t want someone else’s money to help with that either, I’d rather build a solid business with vendors who all know how to work with each other and work to cover my costs. More importantly, I see it as an investment in my continued eduction as a business owner and designer. This goes against the rhetoric of raising lots of money first and spending it (usually badly) after but I think there’s less pressure this way and the right design decisions are made. This all takes a lot of time, but the rewards happen daily: a nice email from a customer, a good prototype, more ideas for packaging. All part of the job. I’ll spend more and more of my time in 2016 on marketing the Good Night Lamp and see if it has international appeal. You have to be careful about burning yourself out on these types of things. Because this is my third business, I think I’m more prepared. You can never stop talking about the product and I’ll do that more and more. It may bore the living daylight out of your friends and family, but having a product is like running a marathon. You are rewarded for sticking around and being pig-headed, not tiring yourself too quickly. I’d never describe the last ten years is as an incredible journey, if anything it’s like hiking up a narrow badly-lit road on the side of a mountain during a blizzard. But I’m there because I want to be there and that’s the difference. Happy New Year everyone. Written for an exhibition put on by Middlesex University as part of London Design Festival. I graduated from a McSc in Industrial Design 2004 and here’s what I wish they’d told me. You won’t design this way ever again. If you work for someone else, you will spend 100% of your time designing 10% of a product. In famous design studios, you will only get involved in a fraction of the whole process, either the artistic direction, or the CAD drawings, or the user interface or tiny snippets of each. You’ll spend half your days in meetings and wonder “wow, I used to be so productive before”. But working for yourself doesn’t make it easier. If you work for yourself you’ll spend 10% of your time designing 100% of the product and 90% of your time selling it, begging for money or filling in paperwork. You’re probably never going to pay off your student loans this way, but you might be happier. I am. In the digital age, to be a product designer is something you have to justify to yourself and others. It’s not a popular field of practice anymore as we live in more and more digital worlds and we’re moving towards a society of access & rental models rather than ownership. I learnt how to code in my MA because I hung out with programmers and I can safely say it saved me. It gave me an edge and an understanding of a field I would always have to interact with. I work in the fuzzy world between products & the internet (called the internet of things) and I can safely say what I learnt between 2000-2004 is obsolete, but that’s ok because I continued to learn and develop my skills. The greatest disappointment of your early years in design is to realise that when you make the pages of a magazine, blog, newspaper, or show your work in a museum your life doesn’t change. You are fodder for some poor journalist/curator who has a 4 o’clock deadline. That’s it. Never pays the bills, never increases sales. Never. The Internet has created a society where we’re constantly fixating on what other people are doing. Back in the days, you might meet your peers once a week or a month, not every second of the day, which left plenty of time for the doing bit of design. It can be easy to stay stuck in a mode where you’re just spending your time in research and not actually designing. Pinterest, Tumblr, Facebook, the distractions are enormous, but nothing trumps just doing, designing, working. Spending time with people who aren’t designers is really important. There’s nothing worse for your career of developing a closed sense of what you’re interested in and what you’re not. You don’t know what you might be interested in…that’s the point of life in design. Inspiration can come from anywhere, so you literally have to go to random events, meet scientists, talk to politicians, because you might find you have something to contribute in their field too. We have enough chairs, but not enough wheelchairs. Design should be about empathising with a foreign problem and trying to solve it, not doing the same thing over and over again. I go around the Milan Furniture Fair and I despair at the number of pointless additions to the built environment young designers are producing when our grandmothers are being sold ugly products that are hard to use. Dare to work on un-popular topics because you’ll find you become an expert and you’ll make a great career out of it. It takes courage and if design isn’t about courage, then we should all have become accountants. I went to see New Designers last week in London, a yearly pilgrimage. I went to product design school at the beginning of the century and I was really hoping that in a digital age, things would feel, well, modern. They didn’t really. If you’ve never been, ND is a fair for product design graduates in the Design Business Centre in Islington. A real meat market for design talent, they are represented by their schools, still hang posters, and show non-functional prototypes. Furthermore, they are mostly just excited to be in London and so bored with their thesis work they don’t hang out next to their projects. A strange environment to visit to say the least when I’ve been hanging out and working in industry for a while and was actually interested in hiring young talent for Good Night Lamp. I couldn’t help but wonder where these graduates will end up after they’ve taken their summer holiday and realise there’s not a lot of work out there. – An introduction to Social Media / WordPress / portfolio design in Year 1. ND was full of graduates with last minute business cards with Facebook links and phone numbers but no digital portfolios. This isn’t the 90s. – An introduction to electronics / Arduino / hacking in Year 2 so that functional prototypes become part of the language of presenting ideas. – An introduction to video prototyping in Year 1. Video is the medium of choice for complex interactions between products and people. Just look at BERG‘s work. – A constant interaction with industry through workshops / lectures / etc. in small groups. Making sure the time spent together always starts with students presenting their latest project (1mn each) or thinking so the guest lecturer can understand what they are interested in. Don’t make it compulsory but reward engagement. There’s nothing worse than being forced to meet people you’re not interested in as a student but it’s good to be reminded that there is a world beyond the school walls. Something someone told me is “the best time to look for a job is when you have one” and students need to get that. – Get students to put their thesis work on Kickstarter and grade them on how well they do. This is a brilliant test of whether an idea has legs and on graduation, they will get the money to make it happen. That’s how you’ll get more entrepreneurs out there. – Give them strong business support so they leave with a Linkedin profile, a good idea of the studios they want to work with, or organise meetings with future mentors who can help them after they leave. – Make it a group of 15. None of this 100 students a year thing. There isn’t enough work. If you want it, you have to fight for it. And your peers become the first people you work with, help, collaborate with. I graduated with 72 other people and only keep in touch with about 3, 2 of whom have retrained away from design because there was no work. – Get them to work on a project with computer science or engineering students. Cross-departmental projects hardly happen but they should. That’s how industry works. As part of RIG, I worked closely with Phil, Andy and Amanda (an absolute pleasure, you should hire them, seriously) to launch FRSTEE a few weeks ago. The most interesting thing about this project for me was the opportunity to work with rapid prototyping in a way that made economic sense. To build a micro-business in the heart of the Silicon Roundabout. That’s what Tech City is about no? I was told in 2000, while at my BA, that those technologies were the future of manufacturing. 11 years later, that’s still the message, but I’d like to think our little contribution gets us closer to that objective. Realistically though, rapid prototyping is still incredibly expensive when you want something that is beautiful, of variable size and made quickly. Qualities that DIY solutions don’t cope well with so far. I’m sure that’s only a matter of time mind you. Building businesses is the kind of design work I find myself doing. It is a design activity in a strange way and my design background along with the experience of running Tinker has been invaluable. The most important skills I think I’ve developed are predicting future problems and handling money. 2 things I wish they would teach in design school to make young people a little more ready for industry. So here are some quick things I learnt in helping build FRSTEE. There’s a ton of boring work in a business. In this one, it’s about collecting the orders once they’ve been rapid prototyped (round the corner on Curtain Road at Inition), checking them, tying a festive piece of string through them, looking at orders, putting the right one in bubble wrap, in a box, printing out the address and stamp ( if you are wondering: where can I buy stamps? we are using online stamps by Royal Mail) on a label and finally walking over to the post office to send them. Because each piece is unique, that pretty much prevents us from using smart fulfilment solutions like Amazon. All of this incredibly tedious work is done by Amanda. She is a star. 2. You need to worry about the smallest numbers. Something to remember is that all of this costs money. Amanda’s time, packaging, stamps, boxes, bubble wrap, tape. Stuff you have to buy and cost out for every package you send out to make sure you’re still making some money somewhere down the line. Tricky when you can’t drive the cost of rapid prototyping much lower than it is, again because of how unique each is. Tricky also because charging too much for a bespoke product starts to feel like luxury and in these economically challenging times, that’s not a good idea. A glass ceiling in a way. Not unlike launching a web service, you have to constantly be in touch with people. In our case that means our suppliers and customers. I live in a constant flow of emails, ordering supplies and keeping on top of everything. We send out orders every week so far and that feels good, a rhythm is setting in even if it’s a seasonal product. Phil implemented a design that was initiated by Ben. He also built the connection between Andy’s ability to script designs in 3D and Paypal. Andy made the rendering easy and connecting it to Inition a breeze. Magic as far as I’m concerned. When you’re working with people who just understand the technologies they are working with and are willing to learn new things, things just get done much faster. After all these years I value a “yes maybe” much more than I value a “no but”. It’s an attitude that gets you through a lot in a business even a small one. A few months ago, I started exploring a simple idea around keyrings. 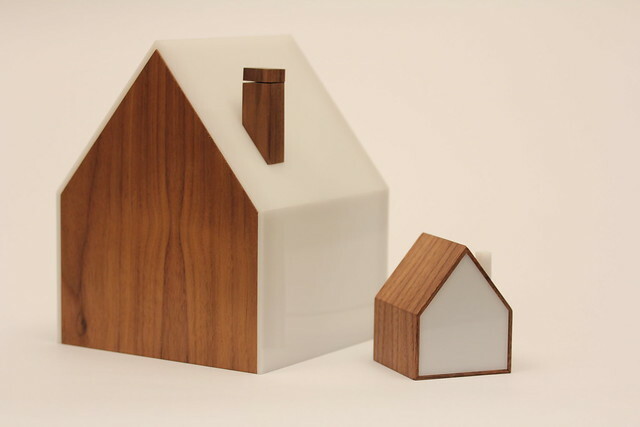 This turned into material explorations using laser cutting and wood and finally perspex. The perspex version I built looked a lot more abstract, a little 1920s jewellery, but later it occured to me that what I had designed, through a material exploration was really a digital map recognition system I’ve called Mapcodes. The idea is simple: why can’t we use maps to link to maps? An abstract, blocky shape, is easy to recognise with the right software as AR projects have shown, but the marker (qr codes, fiducials, etc) often isn’t human-readable or bares little relationship to the content. Mapcodes would present a simplified map which, if you know the area, you could recognise, but more importantly, your mobile device could identify and point to the digital map for that area, the tfl route, whatever. The gap between the representation and the digital tools is bridged. I’m starting to put together a little map (duh) of digital making resources in London I have used or know about. Mostly laser cutting services for now, but will add more. If you think of anything else, drop me a line! So for the first time in years, I went to have a proper look at design graduate work (CSM & RCA) as this is the perfect opportunity to take a snapshot of design education before the scary rise in fees when most UK students might apply outside of the UK and schools start to panic. What I saw was alright mostly, with some flashes of brilliant and brave work. My favorites were the ones that clearly owned their experience and turned it into opportunities for themselves. Students who took the attitude of “the best time to look for a job is when you have one” and created businesses or support opportunities within the framework of education. Alexander Groves (Design Products) made some fantastic Hair Glasses but also and mostly created a project called Sea Chair where he proposes to turn a retired fishing trawler into a plastic chair factory, fishing the plastic from the polluted seas around the South West coast of the UK. Mohammed Daud (Design Products) developed a solution to help urban farming less painful physically with a redesigned hoe design. He is also looking for funding to implement the idea at scale in Pakistan where he went to do user-research. This is ideal for Kickstarter. I also looked at work which clearly made a huge step in making new techniques feel familiar with the language of design. Studio Koya‘s beautiful and delicate fashion and textile work doesn’t even seem futuristic because of our now common acceptance of Lady Gaga-generated dada fashion. It’s hard in design at the moment, but these kids will make it.